Valentine’s Day is just around the corner. Some couples are planning to go on a movie night, some on a fancy dinner date, others are thinking of booking a staycation in one of the 5-stars hotels in the Metro. All these seem to be a good plan, but if you have done all these before, you might want to try something else. Why not go on a spa date night? A date at a local spa can be exceptionally romantic as it allows both of you to enjoy a full relaxation experience, together. Choosing the right spa is vital to ensure both of you will have the best spa date you can ever have. Select a local spa known for its impeccable service standards, world-class facilities, amazing hospitality, and well-crafted packages. Ask your friends for recommendations or search the world wide web for references. Surely, your dream Japan trip can wait. But that doesn’t mean you cannot experience dipping on a Japanese Onsen or at least wear a Yukata while in the Philippines. Tick these items off your bucket list and make new memories together by visiting a Japanese inspired spa. 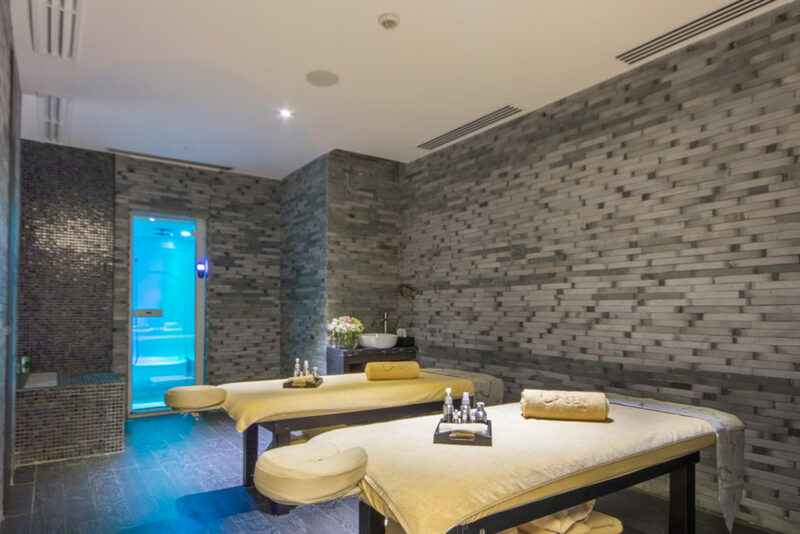 Relish the art of relaxation with your sweetheart by booking a private room for your spa treatment. Doing this will allow you to delight in a soothing massage together. Also, getting a couple’s suite will provide both of you with intimate tranquility, to soothe your body, calm your soul, and as desired, total seclusion to surrender your stress. Sweet treats are popular gifts for the love season. Why not indulge yourselves in a chocolate body scrub made with the finest cacao beans? Discover the magic of chocolate which is scientifically proven to regulate blood circulation, stimulate endorphin production, protect your skin from UV damage, and smooth out wrinkles! Now, that’s something new both of you will surely love. Skip the stressful dinner reservations and book a spa package inclusive with a dinner meal. Everyone loves good food. Make the most out of your spa date night by enjoying a meaningful conversation with your loved one over a sumptuous buffet meal. When it comes to karaoke, vocal skills take a back seat to confidence and guts. 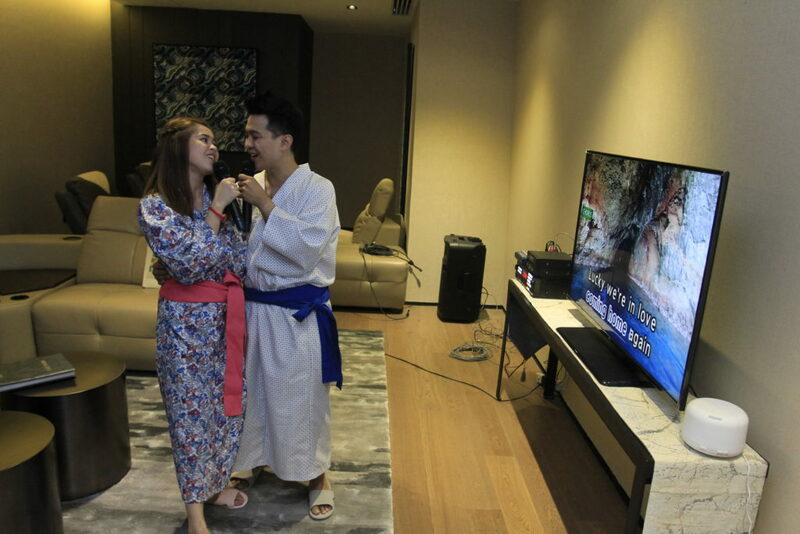 Have fun singing your favourite song together after a relaxing spa treatment. Enjoy a nourishing cup of wellness teas after a rejuvenating massage. Drinking tea will keep both of you healthier which could mean more time together. Take photos as a memento of your special Valentine date. Find a nice spot and bring out your camera phone and selfie stick or ask someone to take pictures of the two of you together. Have fun with it by doing crazy poses (And romantic ones too!). When it comes to any Valentine’s date activity, the most important part is the effort put into spending quality time with your loved one. 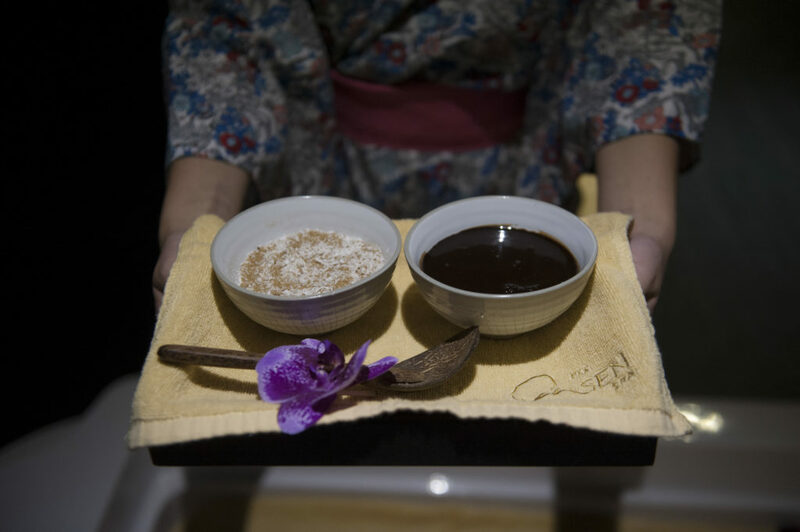 An all-inclusive date experience this February awaits you and your sweetheart at I’M Onsen Spa. Slots are running out! Secure a reservation by calling (+632) 7557 877 or emailing spareservations@imhotel.com.